Folklore: Big Fairy, Small Fairy, Good Fairy, Bad Fairy!! Yesterday afternoon, I had two fairy-related incidents within a few minutes of one other. The first – a somewhat laboured and exaggerated incident, I admit – was listening to Michael O’Súilleabháin’s traditional music piece “Sí Beag, Sí Mór” (Small Fairy, Big Fairy). Shortly afterwards, leaving the house for a reflective walk around the Wilton Bush, I had my second incident when I was struck by a ‘fairy wind’. A ‘Fairy Wind’ is a sudden and unexplained squall on an otherwise calm day. It is, of course, a very natural occurrence but when it happens in an area where there’s dead leaves and other detritus scattered about, the effect can be quite impressive (essentially, a kind of mini-tornado that ends up showering anyone nearby with a spray of leafy/woody debris). This is, quite possibly, where the expression ‘fairy dust’ comes from. Having seen a few, it’s easy to understand why our forefathers might have assigned it a special significance. The ‘fairies’ or Na Sidhe (from síd – the ancient name for the burial mounds they were associated with) have always formed an important part of folklore and belief, not only in Ireland but in many other countries as well. In Ireland, however, many of the more intrinsic beliefs of ‘fairies’ were retained much more strongly than elsewhere where, over time they were reduced from an expression of dead ancestors to a kind of midget, flower-hopping creature with wings (think Tinkerbelle, the famous Cottingley Fairies and so on). In the last two or three decades, the common expression of fairies has morphed yet again, predominantly as a result of poorly researched mass media fiction (books, television and film). Nowadays, a fairy isn’t a real fairy without the wings, the emaciated model-like looks, the pout, and a few special powers thrown in. In fact, they now tend to look more like a sexualised version of an elf – a reflection of current media preoccupation and impact. 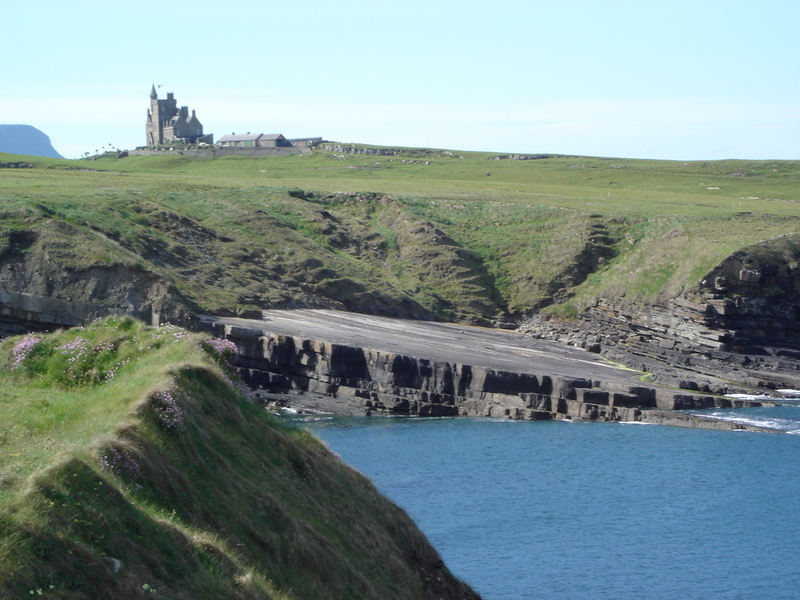 Back in the day, Na Sidhe were a force of nature – literally – and topographically. Their actions served, not only to reflect an interpretation of unusual natural phenomenon but to make sense of strange or unusual topographical features. 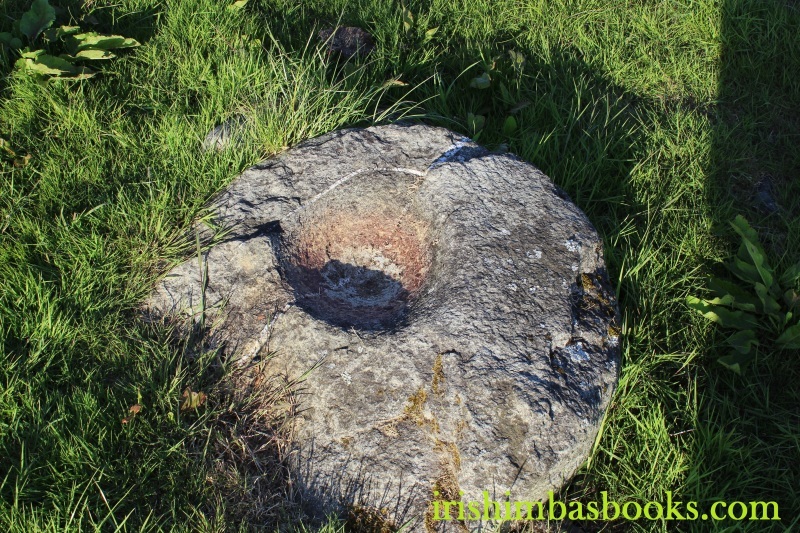 One such feature is the flat rock in the picture above taken at Mullagmore in County Sligo. 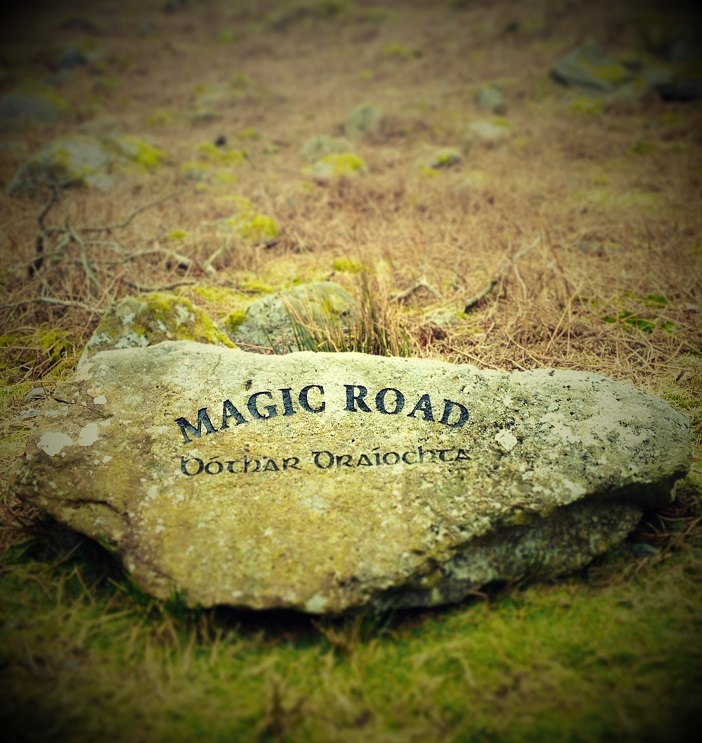 According to ancient local folklore, the flat rock is a ‘Fairy Door’– one of those sites where Na Sidhe can emerge out onto our world. The English word “fairies” always used to bug me – and if I’m being honest, it still does, actually. The word feels inappropriate, a bit like calling a sailboat a ‘ship’. The problem is that it links to a concept (the tiny “Tinkerbelle Model”) that really has no meaningful context in Ireland. Back home, we just never really had that model of ‘fairy’. In Ireland, our fairies – Na Sidhe – were as big and as beautiful and as ugly as normal people. There were ‘Good Fairies’ and there were ‘Bad Fairies’, just like there are Good People and Bad People. Because, of course, they originally were people.